Belonging to the hotel there are open swimming pools available for adults and children as well as sports and medical centre providing conditions for active relaxation, well equipped fitness centre, Finnish sauna and Turkish sauna – “hamam” type, indoor Jacuzzi for eight people. The availability of sports and conventional massage completes the recreation service package supplied by VIVA Club. Dining facilities: The Main Restaurant has 400 seats indoor and outdoor. It is completely equipped according to the modern requirements in the restaurant business. Meals are served at “Swedish table” which is always arranged with a rich variety of food.At the cosy Italian Restaurant you can taste meals cooked from original Italian recipes. Please, do not miss trying our pizzas that will be cooked in front of you in the special charcoal brick oven. The service at this hotel was exerlent .The rooms are brill too.The pool was cold but we didn't seem to mind.we were dissopointed this year as our tour opperator did not have the viva and we realy wanted to return. este un hotel care isi merita pe deplin toate stelele iar amplasarea lui este superba, serviciile pe masura, totul este la supelativ! este o adevarata feerie! nu-l ocoliti, veti regreta!!! I've been in this hotel last week and it was really great! !The rooms are nice and clears...all the people are really nice and friendly especially the 2 animators...my friends and I had a very good time with them!! !I think there's no need to give more comments...I spent wonderful vacation there!!!! 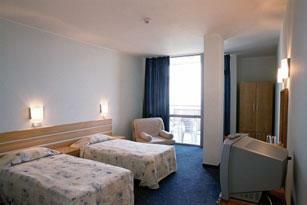 I stayed here with my boyfriend and friends September 05. It was brilliant. The service was great, food was lovely and the rooms were nice and clean and had AIR CON which is very important. Only DOWN thing was the pool was freezing cold :o( but you'd probs expect that at the end of Sept. I have spent 4 magic days at Riu Viva hotel, and I have to compare it with any of the 4* in international meaning. I SPENT 4 DAYS AT RIU ARABELA****(GOLDEN SANDS) 21-24.04.06! THE SERVICES ARE IMPECABLE, THE FOOD IS GREAT, THEY HAVE EVERYTHING YOU NEED! I AM COMING BACK IN SUMMER! RIU VIVA IS PART OF THE SAME CHAIN "RIU", SO I THINK THE SERVICES ARE THE SAME. THEY HAVE HOTELS ALL OVER THE WORLD. HAVE A NICE VACACION! 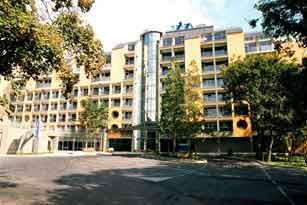 I am going to this hotel in July, has anyone got any feedback. Many thanks. Has anyone been their as me and my friend have been thinking of going to this hotel how would you rate it?